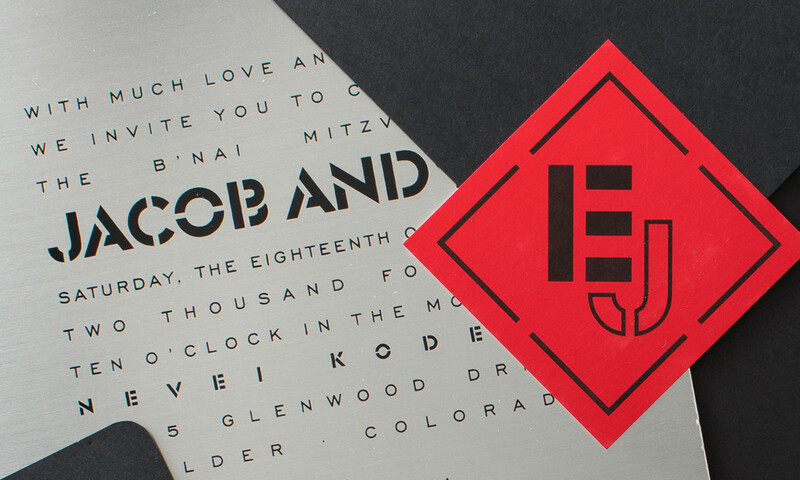 This b’nai mitzvah set featuring a brushed metal ceremony invitation and plastic party “cards” was delivered in a black, pouch-like mailer. Party cards are chained together as a pair, so fitting for twin boys! The initials J and E (and E and J to keep it equal) are used throughout the set. 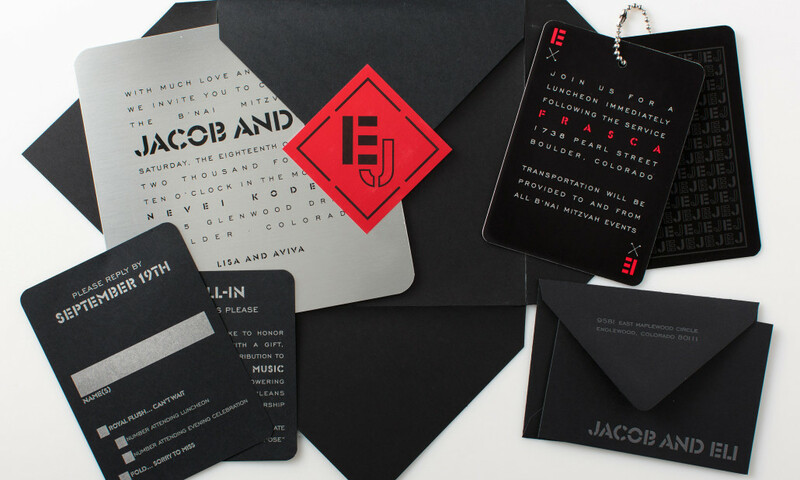 The colors, papers, fonts and theme can easily be customized to fit your event.